Business Cycles & Household Debt are Surely First Cousins – Accurate (Peel) Appraisals Inc. The Great Recession of 2009 demonstrated that a slowdown of economic activity can be predicated on rising household debt. This was specifically true in the USA but not exclusively. Recorded Household Debt to GDP ratios rose vigorously through 2002 & 2007. These gallant numbers correlated strongly with increases in unemployment through 2008 & 2011. How is this possible & why should this matter to the average property owner in the G.T.A ? Simple; Countless studies have concluded that expansions in credit supply are an important driver of business cycles. Let us paraphrase and call this the “household demand channel”, which is presently indigenous to Canada but particularly the G.T.A. at unprecedented national levels and record international levels. First, let us all agree that credit supply expansion is a primary driver of economic expansion! 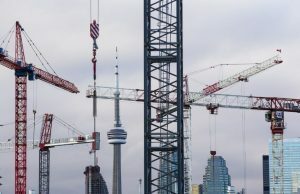 The near zero bank of Canada interest rate policy of the last decade has undoubtedly fueled one of the biggest housing booms in Canadian history. Prices essentially rose nearly unimpeded for 16 years. This thinking became the new norm, that prices remain steady or slowly continue to rise until such time as when the next boom arrives. Second credit supply expansion affects “the real economy by boosting household demand, rather than the productive capacity of firms”. Credit booms tend to be associated with increased expansion in construction and retail, rather than in tradable or export oriented business sector. Please take a moment and reflect on our trade imbalance and the plethora of condo high-rises dotting our skyline. Third, when a form of contraction is initiated, whether it be through new bank guidelines (stress tests), rising interest rates or structural layoffs, the economy has a hard time adjusting. That is why the contraction phase of a credit-driven business cycle is so severe. Recently 44% of mortgage renewals are being re-channeled to private lenders or lenders of a 2nd tier. Clearly the gnomes of the financial sector continue to play a huge role in their desire to re-channel these sub prime refinances. Plus their much underappreciated ability to initially lend these unprecedented amounts of money. Historically credit supply expansion is a by-product of a rapid influx of capital into the financial system. (Too Big to Fail). Expanding this Household Demand Channel has been accompanied by a decline in long term real interest rates, rising within country, income inequality and across country, savings gluts. Sadly this data is most specific to advanced economies. By our reckoning, Stage 3 of the credit expansion has just entered the 3rd inning. So there is still time to put your financial house in order. If your home is one of your largest assets, start by getting it professionally appraised by an AIC member. If your intention is stay in that home, next negotiate with your bank for the best long term mortgage rate possible. Remember you are not alone, keep in mind that the early bird gets the worm. Before the gnomes find another way to benevolently diminish your net worth. Please feel free to contact any of our 4 offices for a 2nd opinion. Check out the following Youtube video with Martin Armstrong regarding Bank Lending & Real Estate Liquidity.